Much like Google, Amazon is a fan of trying out a number of unique and interesting experiments to see how the market reacts to it. Amazon Prime is a yearly subscription service from Amazon that was launched back in 2005 which includes a number of benefits such as free 2-day shipping, access to Amazon Music, Amazon Prime Video and more. 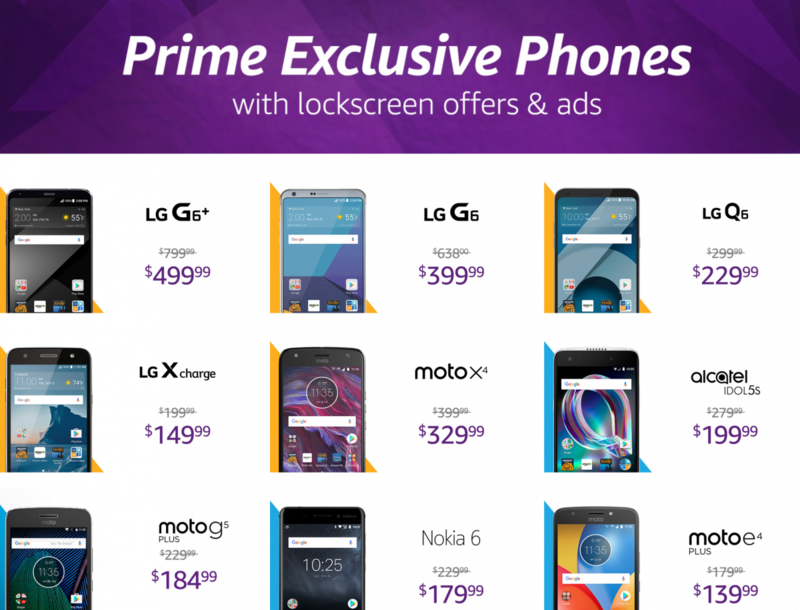 Prime Exclusive Phones was another benefit and it gave subscribers access to some Android smartphones at a cheaper price as long as they were willing to put up with lockscreen ads. In a surprise move, Amazon recently announced that they would remove lockscreen ads from all Prime Exclusive devices, though it requires an update. A member on our forums grabbed the APK that you need to remove these advertisements from your lock screen on Amazon Prime Exclusive devices. The removal of these lockscreen ads and offers is from an update to the Amazon Offers app. Since you can sideload this APK on other Android devices from the company, you can update the application on your Prime Exclusive devices to remove the lockscreen ads and offers as well without having to wait for the update to roll out to your device. The concept of Amazon’s Prime Exclusive Phones was widely accepted by the community as it gave the customer more choice. You could either pay full price for a smartphone and not have to deal with ads on your lockscreen, or you could get a bit of a discount (the amount varied by device) and be shown an ad on the lockscreen. Android enthusiasts have found ways to disable these lockscreen ads on their own, but the average customer was more than willing to deal with them for the discount. These devices made headlines a couple of weeks ago when the lockscreen ads feature was believed to be vulnerable to a security flaw that allowed people to easily bypass the lockscreen entirely (without knowing the person’s PIN/pattern/password). The issue was actually overblown and was resolved when on-body detection was turned off in Smart Lock (even though people say they never manually enabled on-body detection). It’s unclear if the removal of this feature was from the negative press the company received by it, but nevertheless you won’t have to deal with any ads or offers displayed on the lockscreen thanks to the update. This does come with a catch, though, as prices for these devices have gone up by $20. Fortunately, Amazon Prime subscribers will still end up paying less than retail for the devices offered in the program even though it’s just not as much of a discount than before.